Falls put a person, especially adults and older adults, at risk of serious injury. Fall prevention may not seem like a favorite topic, but plays a very important role in health care. Based on statistics evaluated by the Centers for Disease Control and Prevention (CDC), about one in three community-dwelling adults older than age 65 fall every year, and women fall more frequently than men in this age-group. This statistics increases to about 75% of nursing home residents because of their old age, susceptibility, chronic medical status, and cognitive impairments. In fact, falls are a leading cause of injury and accidental death among individuals older than 65 years. Injuries sustained as a result of fall include soft tissue injury, fractures (hip, spine, and wrist) and traumatic brain injury. Fall-related injuries are linked with lengthening hospitalization for the elderly. Also, the quality of life is significantly modified following a fall-related injury. The mortality rate for falls rises dramatically with age in both sexes and in all racial and ethnic groups. Falls can be trademarks of inadequate health and decrease function, and they are usually linked with significant morbidity. More than 90% of hip fractures occur as a result of falls, with most of these fractures occurring in persons over 70 years of age. One-third of community-dwelling elderly persons and 60% of nursing home residents fall each year. Risk factors for falls in the elderly include increasing age, medication use, cognitive impairment and sensory deficits. Outpatient evaluation of a patient who has fallen includes a focused history with an emphasis on medications, a directed physical examination and simple tests of postural control and overall physical function. Treatment is directed at the underlying cause of the fall and can return the patient to baseline function. Implementation of favorable fall prevention program is a vital part of nursing care in any healthcare environment and needs a multifaceted approach. 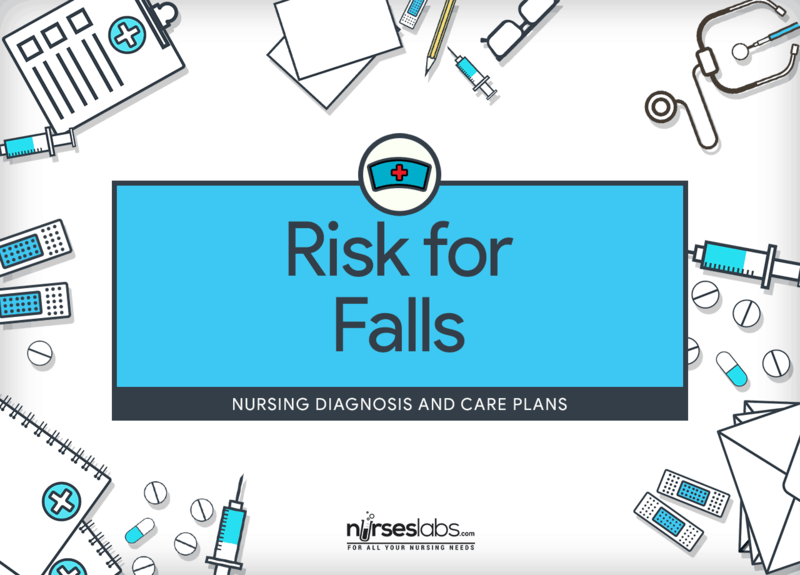 Nurses also have a significant role in educating patients, families, and caregivers about the prevention of falls beyond the care continuum. Patient will not sustain fall. Patient will relate the intent to use safety measures to prevent falls. Patient will demonstrate selective prevention measures. Patient and caregiver will implement strategies to increase safety and prevent falls in the home. Falls are due to several factors, and a holistic approach to the individual and environment is important. If a person is considered at high risk for falls after screening, a health professional should conduct a falls risk assessment to obtain a more detailed analysis of the individual’s risk of falling. A falls risk assessment requires using a validated tool that has been examined by researchers to be useful in naming the causes of falls in an individual. As a person’s health and circumstances change, reassessment is required. Assess for circumstances associated to increase the level of fall risk upon admission, following any alteration in the patient’s physical condition or cognitive status, whenever a fall happens, systematically during a hospital stay, or at defined times in long-term care settings: Using standard assessment tools, the level of risk and subsequent fall precautions can be determined. These tools incorporate the intrinsic and extrinsic factors. An individual is more likely to fall again if he or she has sustained one or more falls in the past 6 months. Confusion and impaired judgment increase the patient’s chance of falling. Older people with weak muscles are more likely to fall than are those who maintain their muscle strength, as well as their flexibility and endurance. These changes include reduced visual function, impaired color perception, change in center of gravity, unsteady gait, decreased muscle strength, decreased endurance, altered depth perception, and delayed response and reaction times. Vision and hearing impairment limit the patient’s ability to perceive hazards in the surroundings. Older adults who have poor balance or difficulty walking are more likely than others to fall. These problems may be associated with lack of exercise or to a neurological cause, arthritis, or other medical conditions and their treatments. Inappropriate use and maintenance of mobility aids such as canes, walkers, and wheelchairs increase the patient’s risk for falls. Increased incidence of falls has been demonstrated in people with symptoms such as orthostatic hypotension, urinary incontinence, reduced cerebral blood flow, edema, dizziness, weakness, fatigue, and confusion. Risk factors for falls also include the use of medications such as antihypertensive agents, ACE-inhibitors, diuretics, tricyclic antidepressants, alcohol use, antianxiety agents, opiates, and hypnotics or tranquilizers. Drugs that affect BP and level of consciousness are associated with the highest fall risk. Personal and situational factors such as poor-fitting shoes, long robes, or long pants legs can limit a person’s ambulation and increase fall risk. Assess the patient’s environment for factors known to increase fall risk such as unfamiliar setting, inadequate lighting, wet surfaces, waxed floors, clutter, and objects on the floor. A fall is more likely to be experienced by an individual if the surrounding is not familiar such as the placement of furniture and equipment in a certain area. Refer the patient with musculoskeletal problems for diagnostic evaluation. Patients with musculoskeletal problems such as osteoporosis are at increased risk for serious injury from falls. Bone mineral density testing will help identify the risk for fractures from falls. Physical therapy evaluation can identify problems with balance and gait that can increase a person’s fall risk. For patients at risk for falls, provide signs or secure a wristband identification to remind healthcare providers to implement fall precaution behaviors. Signs are vital for patients at risk for falls. Healthcare providers need to acknowledge who has the condition for they are responsible for implementing actions to promote patient safety and prevent falls. Transfer the patient to a room near the nurses’ station. Nearby location provides more constant observation and quick response to call needs. Move items used by the patient within easy reach, such as call light, urinal, water, and telephone. Items that are too far from the patient may cause hazard and can contribute to falls. Respond to call light as soon as possible. This is to prevent the patient from going out of bed without any assistance. See to it that the beds are at the lowest possible position. If needed, set the patient’s sleeping surface as adjacent to the floor as possible. Keeping the beds closer to the floor reduces the risk of falls and serious injury. In some healthcare settings, placing the mattress on the floor significantly reduces fall risk. Use side rails on beds, as needed. For beds with split side rails, leave at least one of the rails at the foot of the bed down. According to research, a disoriented or confused patient is less likely to fall when one of the four rails is left down. Avoid the use of restraints to reduce falls. Studies demonstrate that regular use of restraints does not reduce the incidence of falls. Guarantee appropriate room lighting, especially during the night. Patients, especially older adults, has reduced visual capacity. Lighting an unfamiliar environment helps increase visibility if the patient must get up at night. Encourage the patient to don shoes or slippers with nonskid soles when walking. Nonskid footwear provides sure footing for the patient with diminished foot and toe lift when walking. Familiarize the patient to the layout of the room. Limit rearranging the furniture in the room. The patient must get used to the layout of the room to avoid tripping over furniture. Provide heavy furniture that will not tip over when used as support when patient is ambulating. Make the primary path clear and as straight as possible. Avoid clutter on the floor surface. Patients having difficulty in balancing are not skilled at walking around certain objects that obstruct a straight path. Bed and chair alarms must be secured when patient gets up without support or assistance. Audible alarms can remind the patient not to get up alone. The use of alarms can be a substitute for physical restraints. Provide the patient with chair that has firm seat and arms on both sides. Consider locked wheels as appropriate. When patient experiences weakness and impaired balance, this chair style will be useful and easier to get out of. Collude with other health care team members to assess and evaluate patient’s medications that contribute to falling. Examine peak effects for prescribed medications that affect level of consciousness. A review of the patient’s medications by the prescribing health care provider and the pharmacist can identify side effects and drug interactions that increase the patient’s fall risk. The more medications a patient takes, the greater the risk for side effects and interactions such as dizziness, orthostatic hypotension, drowsiness, and incontinence. Polypharmacy in older adults is a significant risk factor for falls. Consider using sitters for patients with impaired ability to follow direction who are at risk for falls. Sitters are effective for guaranteeing a secure, protected, and safe environment. Allow the patient to participate in a program of regular exercise and gait training. Studies recommend exercises to strengthen the muscles, improve balance, and increase bone density. Increased physical conditioning reduces the risk for falls and limits injury that is sustained when fall transpires. Inform patient the advantage of wearing eyeglasses and hearing aids and to have these checked regularly. Hazard can be reduced if the patient uses appropriate aids to promote visual and auditory orientation to the environment. Visual impairment can greatly cause falls. Consider physical and occupational therapy sessions to assist with gait techniques and provide the patient with assistive devices for transfer and ambulation. Initiate home safety evaluation as needed. The use of gait belts by all health care providers can promote safety when assisting patients with transfers from bed to chair. Assistive aids such as canes, walkers, and wheelchairs can provide the patient with improves stability and balance when ambulating. Raised toilet seats can facilitate safe transfer on and off the toilet. Provide high-risk patients with a hip pad. These pads when properly worn may reduce a hip fracture when fall happens. If patient has a new onset of confusion (delirium), provide reality orientation when interacting. Have family bring in familiar items, clocks, and watches from home to maintain orientation. Reality orientation can help prevent or decrease the confusion that increases risk of falling for clients with delirium. Ask family to stay with the patient. This is to prevent the patient from accidentally falling or pulling out tubes. Avoid use of wheelchairs as much as possible because they can serve as a restraint device. Most people in wheelchairs do not move. Wheelchairs, unfortunately, serve as a restraint device. Improve home supports. Many community service organizations provide financial assistance to make older adults make safety environments in their homes. Teach client how to safely ambulate at home, including using safety measures such as handrails in bathroom. This will help relieve anxiety at home and eventually decreases the risk of falls during ambulation.